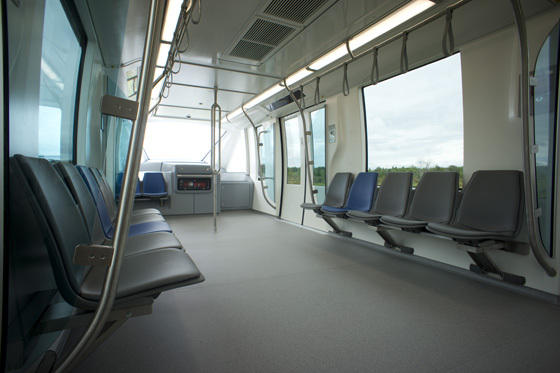 Bombardier Transportation has announced two contracts for its Innovia Monorail 300 system for two mass rapid transit lines in Thailand. The contracts are with the Northern Bangkok Monorail Co Ltd (NBM) and the Eastern Bangkok Monorail Co Ltd (EBM). They will be responsible for the turnkey construction and 30-year concession of the new, elevated lines, which will improve the daily commute for over 400,000 people. The contract with NBM concerns the new 34.5km Khae Rai-MinBuri (Pink) Line to operate with 42 railcars and EBM’s contract comprises 30 railcars for the 30.4km Lat Phrao-Samrong (Yellow) Line. 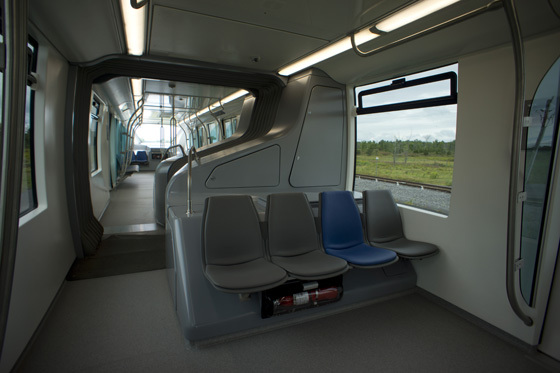 Bombardier will design and supply the mechanical and electrical elements for the two monorail lines, and will deliver 72, four-car INNOVIA Monorail 300 trains (288 cars) equipped with Bombardier Cityflo 650 automatic train control technology for driverless operation. The railcars will be manufactured at the Bombardier joint-venture Puzhen Bombardier Transportation Systems (PBTS) in China. 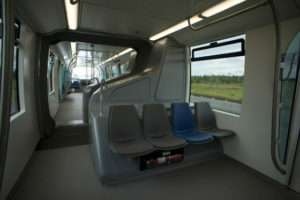 The contract is valued at THB 50 billion (USD1.47 billion) for trains to be used on the two monorail routes. Operating in the city’s northern and eastern areas, the monorails will integrate with the existing transportation network and run at speeds up to 80 kmph with a maximum capacity of over 28,000 passengers per-hour, per-direction. The Thai government awarded the THB105 billion (USD 3 billion) concession contracts of the two monorail projects earlier last year for the 34.5 km Pink Line and 30.4 km Yellow Line to BSR, a joint venture among BTS Group Holding Plc, which is running the BTS skytrains in Bangkok, Sino-Thai Engineering and Construction Plc (STEC) and Ratchaburi Electricity Generating Holding Plc (Ratch). Experts suggest that surveying the land could extend into early 2018. The Thai government will inject some THB40 billion for related civil works and BSR will invest THB60 million in construction, train operation and management in the two projects worth over THB100 billion. In related news Bangkok is set to introduce its “Spider Card” this year. A common ticketing system for different modes of public transport. 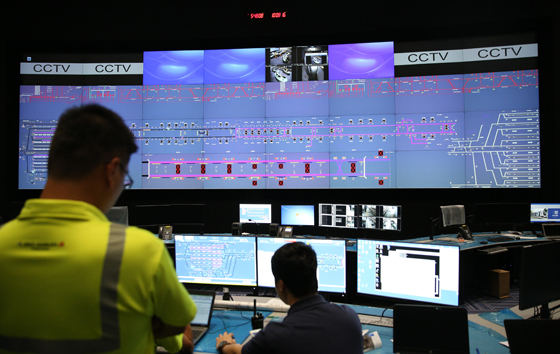 Transport deputy permanent secretary, Peraphon Thawornsupacharoen, said the system, called the mangmoom (spider), will be used not only by four electric rail routes, but also by the city’s bus system, which operates 2,600 buses. Passengers currently have to buy separate tickets for each commuter system ( Airport Rail, BTS, MRT,) The long awaited spider card will serve as a single card usable on all major mass transport system, excepting buses that still use paper tickets.